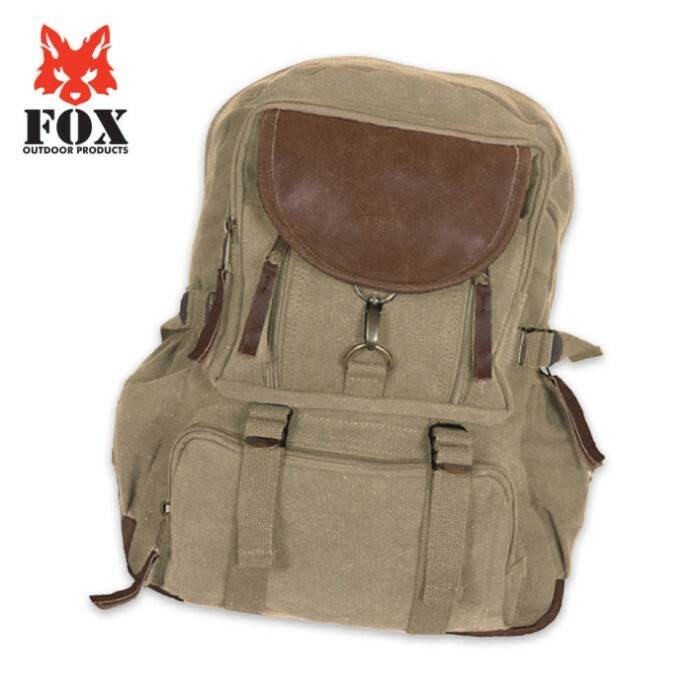 Fox Outdoors Parisian City Daypack | BUDK.com - Knives & Swords At The Lowest Prices! The Parisian City Daypack from Fox Outdoors offers style and functionality in an attractive daypack. The canvas construction features leather trim and accents, giving this daypack a rugged but refined look and feel. It offers tons of storage, multiple pockets and zippers, adjustable padded shoulder straps and a padded back. Measures 16" x 11 ½" x 7 overall.